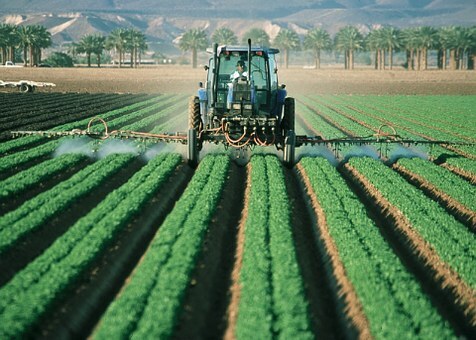 Some of the worst "chemical toxins" are found in pesticides, fertilizers and herbicides used by farmers. You should try to only eat organically grown fresh farm produce whenever possible. The modern day “Farm Business” (BigAgri) is all about generating massive profits at any cost driven by polluted fresh agricultural products grown using toxic fertilisers and pesticides. Fresh food crop pollution is a major contributor to current day diseases for both humans and animals and is steadily destroying the environment. Then of-course there is the whole GMO story which i am not going to get into here. Pesticides, herbicides, fungicides are all poisons designed to destroy pests, weeds, disease, fungi and other unwanted organisms. When these poisons are washed off into the rivers and seep through into underground water, they cause serious water pollution, with very damaging effects for both human health and the environment. The modern day chemical fertilisers that are used to boost agricultural productivity are just as bad. Over 800 poisonous chemical active ingredients are sold to the agricultural industry worldwide in tens of thousands of formulations. Long-term effects of regular exposure to pesticides often causes chronic illnesses, including cancer, reproductive and neurological effects. 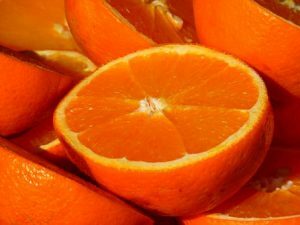 In the UK 31,000 tonnes of pesticide are sprayed on UK land every year and it has been found that 43% of all vegetables and fruit contain detectable levels of pesticides and that a number of other foods are also affected. Here is a short list of some of the worst that you need to be aware of according to the “Pesticide Action Network – UK” (www.pan-uk.org). It needs to be noted that most of these have a number of different toxic pesticides. Bread has 78% toxic residues, primarily from the flour. Rain Water – in Europe rain water is so polluted with pesticides that it would be illegal to supply it as drinking water. Tests in Spain have shown Lindane, a banned carcinogen to be present in the water. The World Health Organisation believes that pesticides cause 772,000 new cases of disease each year. You need to assess your own exposure to fresh produce pollution and decide if you need to take any action. We suggest that if you are not able to establish the source of the produce and the farming conditions, then you try to consume “organically” grown fresh produce. Next Lifestyle Choice - Groceries or Back to "Lifestyle Choices"